An Easy Project That’s Pretty in Many Color Themes! 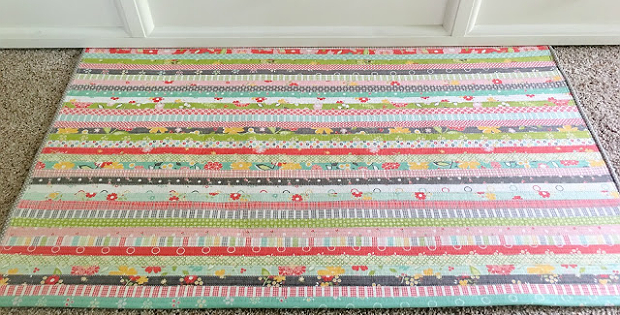 A jelly roll of 2 1/2″ strips and cotton batting combine for a lovely throw rug. It’s beautiful in many color combinations and perfect next to a matching quilt. 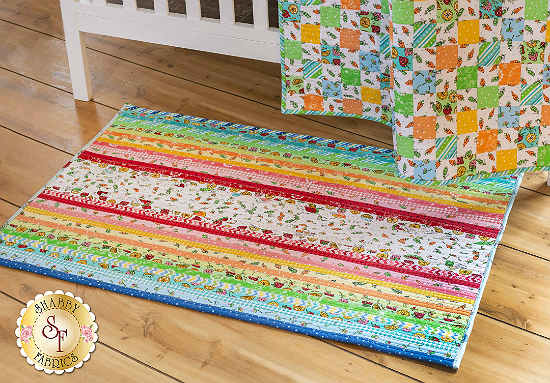 Start with a new jelly roll or go through your stash and combine leftovers from other projects. 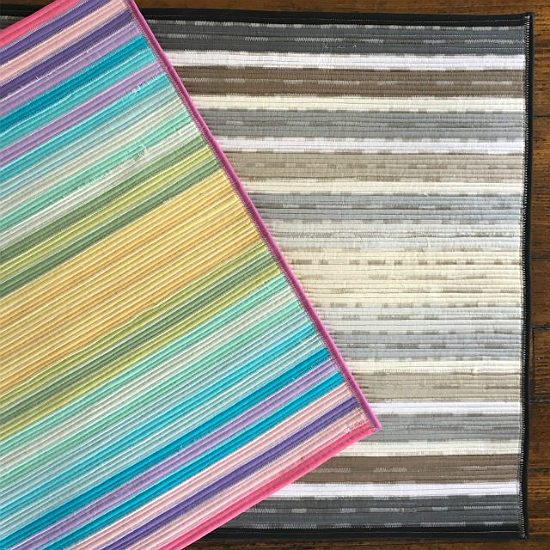 Give your rug a coordinated look or go full-on scrappy. 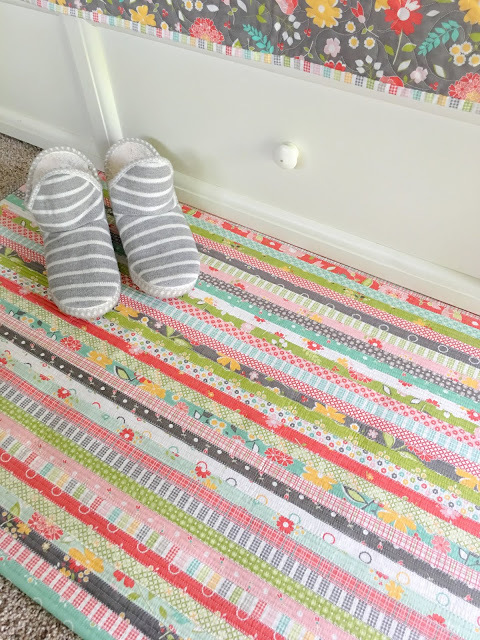 This rug is a simpler version of the original oval Jelly Roll Rug. It’s all straight piecing and quite easy to complete. 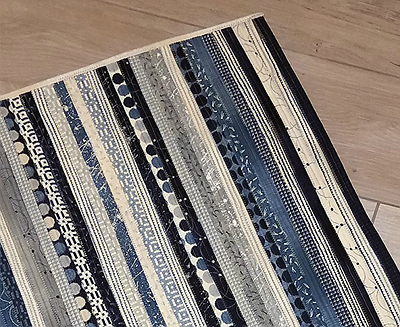 Taunja Kelvington, from Carried Away Quilting, created the lovely rug shown above. Notice how pretty it looks next to the bed with a matching quilt. Rugs by Quilt Addicts Anonymous. 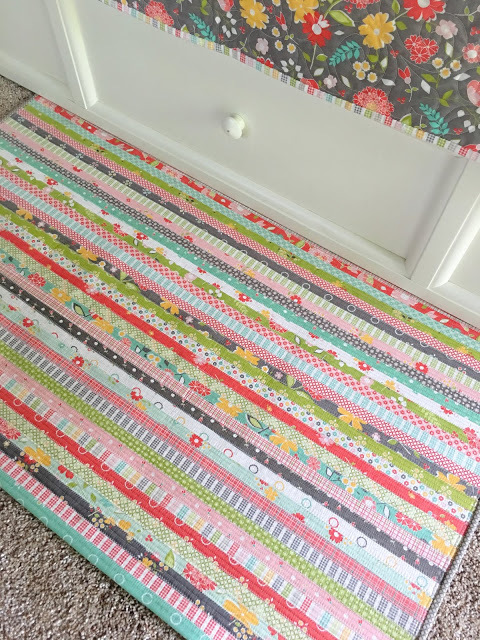 Rug from Shabby Fabrics. A kit is available here while supplies last. The finished rug is 32″ x 42. 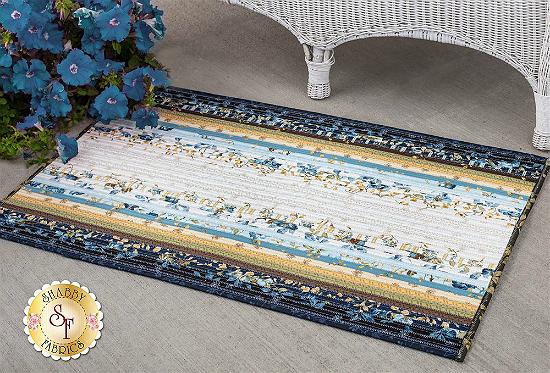 Click here to purchase the “Jelly Roll Rug Pattern 2”.